The majority of hate crimes experienced by U.S. residents over a 12-year period were not reported to police, according to a new federal report released Thursday that stoked advocates’ concerns about ongoing tensions between law enforcement and black and Latino communities. More than half of the 250,000 hate crimes that took place each year between 2004 and 2015 went unreported to law enforcement for a variety of reasons, according to a special report on hate crimes from the Bureau of Justice Statistics. Hate crimes were most often not reported because they were handled some other way, the report said. But people also did not come forward because they didn’t feel it was important or that police would help, according to the report. Based on a survey of households, the report is one of several studies that aim to quantify hate crimes. Its release comes as the Justice Department convenes a meeting on Thursday with local law enforcement officials and experts to discuss hate crimes, including a lack of solid data on the problem nationwide. Attorney General Jeff Session is scheduled to speak. 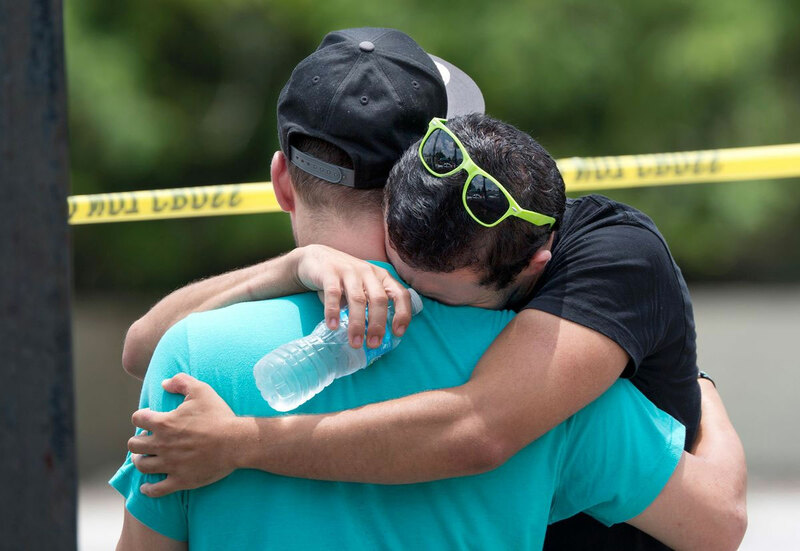 The new survey shows the limits of hate crime reporting, said Brian Levin, director of the Center for the Study of Hate and Extremism, California State University. “Many victims don’t report hate crimes because of personal and institutional reasons,” Levin said. For example, some Latino immigrants may be reluctant to call police after an apparent hate crime for fear of deportation, he said. “I think this report shows the kind of fear that is going on in our communities,” said Patricia Montes, executive director of the Boston-based immigrant advocacy group Centro Presente. She worries Latinos will even be more reluctant to report hate crimes in the future. Law enforcement officials have long grappled with how to catalog hate crimes. While some victims’ distrust of police keeps them from coming forward, Levin said, some LGBT victims may opt not to report a hate crime for fear of losing a job or being outed to family. Levin said many large cities are claiming they had no hate crimes – calling into question the reliability of federal hate crimes data that are based on voluntary submissions from police departments. “We have Columbus, Ohio, reporting more hate crimes than the state of Florida,” he said. Eric Treene, the Justice Department’s special counsel for religious discrimination, lamented the lack of solid data on hate crimes during a Senate Judiciary Committee hearing in May, saying incomplete numbers stymie officials’ ability to fully understand the problem. But he said the department is committed to prosecuting hate crimes, even as critics have blamed the Trump administration’s tough rhetoric and policies for a spike in such offenses. Civil rights groups said investigating and prosecuting hate crimes alone would be insufficient. “It’s past time for the Trump administration and the Sessions Justice Department to demonstrate, through action and its megaphone, its full and unflagging commitment to preventing hate-based violence and harassment that hurts our communities and destroys the fabric of our nation,” said Vanita Gupta, the top civil rights official in the Obama Justice Department and president of The Leadership Conference on Civil and Human Rights. Over Half of Hate Crimes in US Go Unreported. The majority of hate crimes experienced by U.S. residents over a 12-year period were not reported to police.